The Volgograd Tractor Plant, previously known as the Stalingrad Tractor plant, produced the workhorses for the Soviet era Russian farming industry. Short, snub-nosed and chunky, the DT-75 is an exemplar of sturdy utilitarian design. 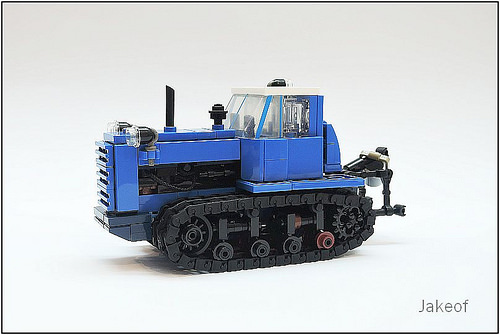 Builder Jakeof has created two LEGO versions of these unique looking vehicles, a DT-75 and a DT-75M. 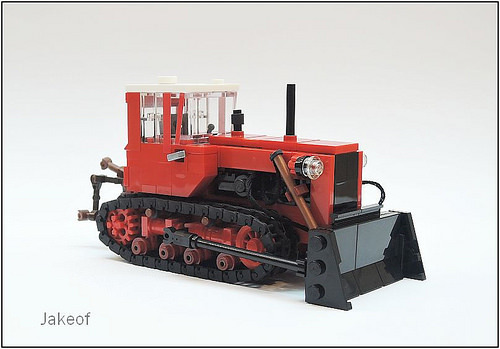 Although small, they pack in the detail, especially in the case of the neat tread design and exposed engines. Together they stand as an iconic reminder of Soviet innovation.